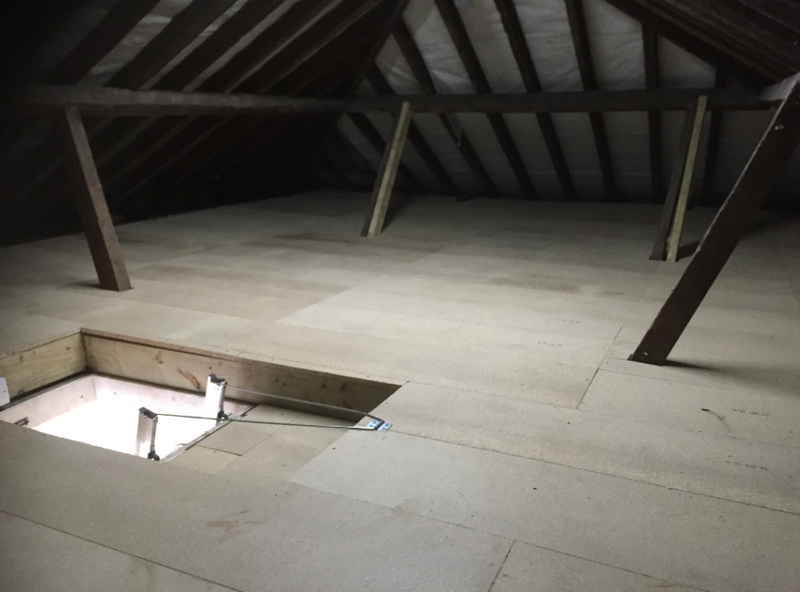 Make The Most Of Your Loft Space. This month we are offering a 20% discount & free quotes.Lofts are areas for hiding unwanted junk that you're adamant you need to throw away yet never seem to get round to sorting. 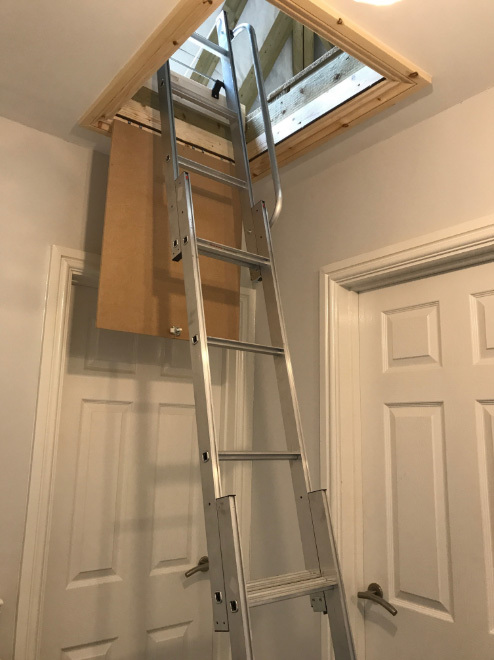 But without a proper ladder to access it safely, the loft could still be gathering dust in years to come. 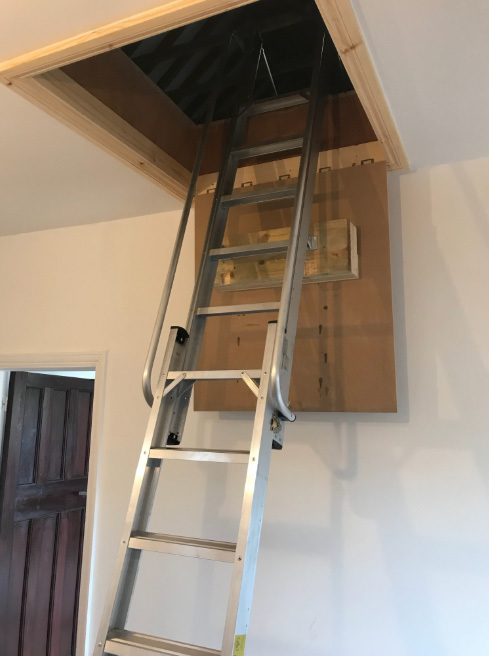 Here at Above the Rest Loft Ladders, we can make sure you are able to make the most of your valuable loft space. Family owned business trading for over 20 years. 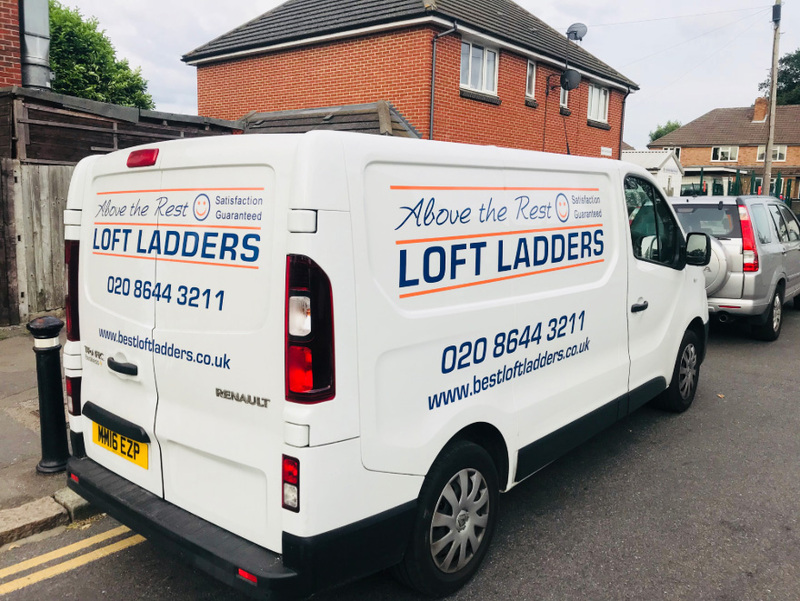 Above the Rest Loft Ladders is a local, family run business based in Surrey, specialising in the installation of loft ladders. We can can supply all types of ladders to suit your individual needs. We have a wide range including wooden and aluminium, folding ladders, sliding ladders and concertina ladders in all different sizes. We also provide: loft insulation, loft boarding, new hatches and doors, hatches moved / resized, loft lights, pipe lagging, locks. Gary Hope, Director, operates the company from his home and will happily explain costs and the fitting process over the phone or by email before either coming to your home to show you the vast range of ladders in person (aluminium, wooden and concertina among them) or bringing the selection with him on the day he visits to install. 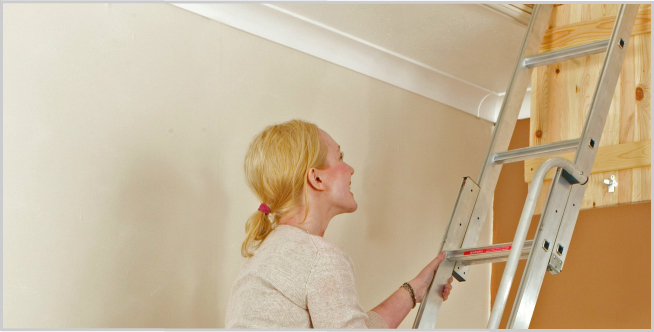 Gary is on hand at any time, seven days a week to help with any ladder enquiries you may have. He is also more than happy to accommodate an emergency situation and visit you at your home. 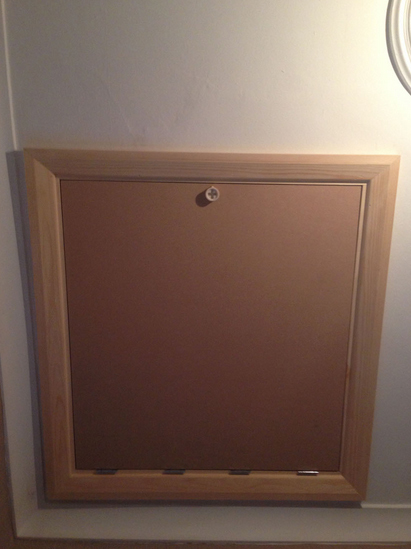 We cover the whole of Surrey and South London. 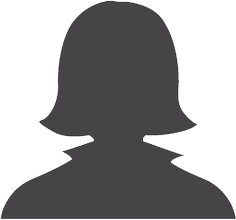 Above the Rest is known for its customer satisfaction and excellent service. 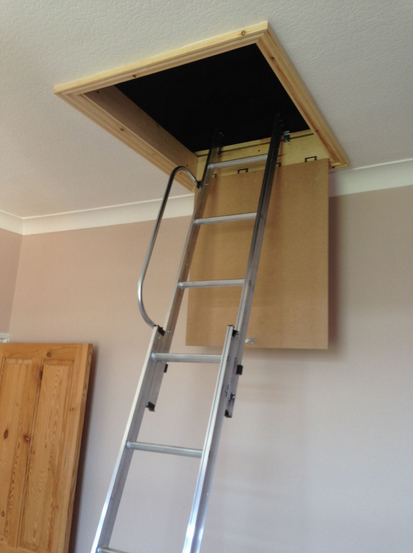 Quick and simple to install, our range of loft ladders provide the safest and most convenient solution to loft access. 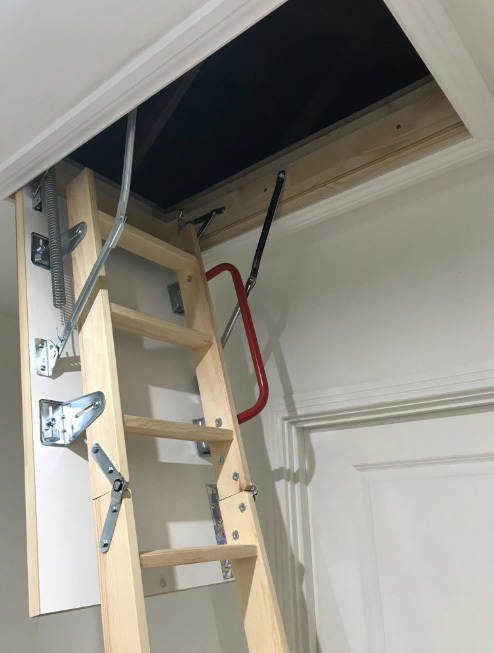 With a wide choice of models available made from aluminium and timber, you can find the right loft ladder to suit your needs. 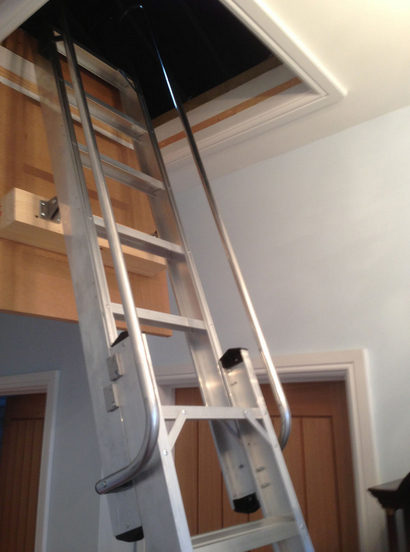 I was delighted to find that the loft ladder was fitted so quickly and efficiently, all in only one visit. 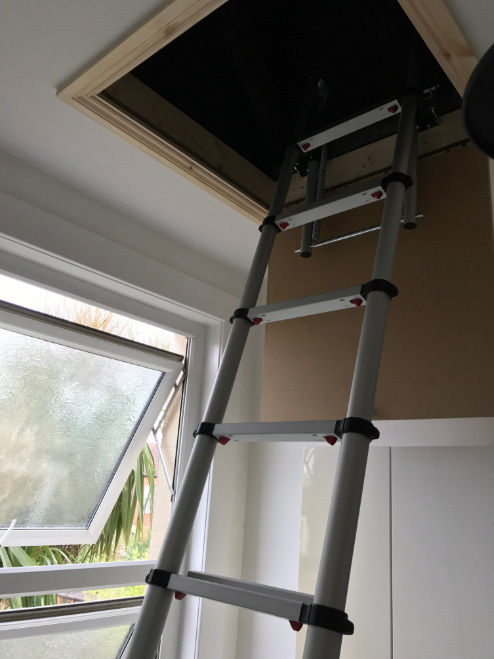 It had taken me some time to find someone to satisfy my needs, and in Above The Rest Loft Ladders I eventually found a specialist! 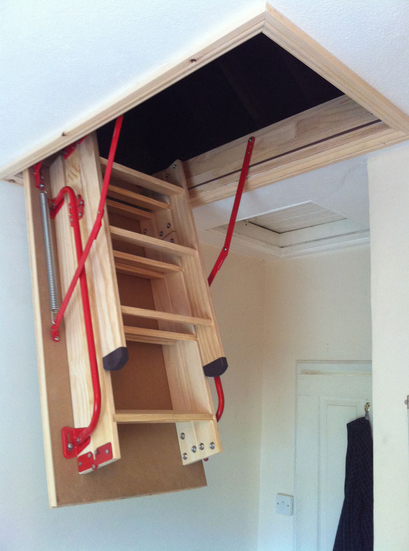 I am writing to thank you for the excellent service you provided when fitting my loft ladder. From your initial visit to completion, you provided a very professional service with no mess and no fuss and this was very much appreciated. 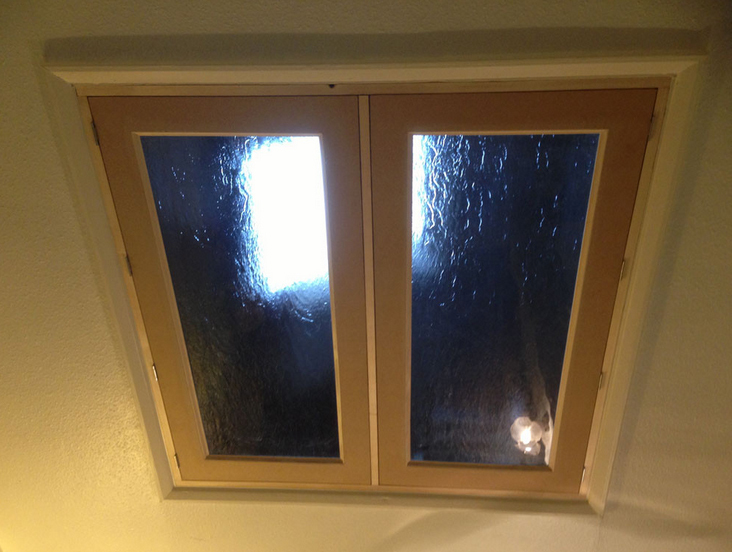 Above The Rest fitted a loft ladder and enlarged the opening with a plastic drop down hatch for us. We were very pleased with the results, it's so easy to use compared with the old step ladder. I am extremely happy with the work carried out, the installation was carried out with the minimum of fuss on the same day that I called to enquire! 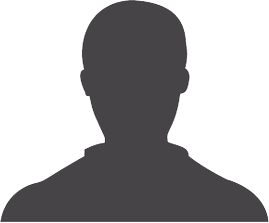 On top of this Gary is an extremely helpful and cheerful guy which made the whole process extremely manageable. I would not hesitate to recommend. 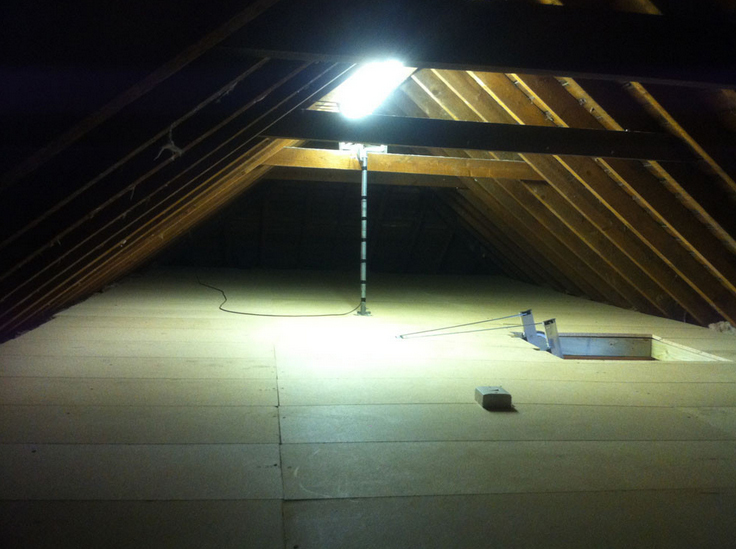 Gary did a fantastic job with my loft - I am extremely pleased with the loft boarding and lighting. 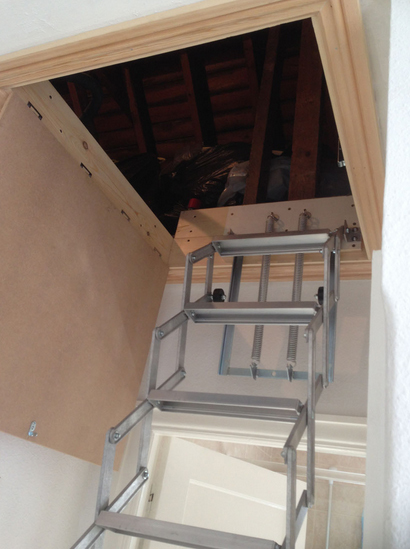 It is now so easy to access my loft and there is now so much room to store all my things. I would definately recommned Above The Rest Loft Ladders. We are always looking to continually improve our standards and services and your feedback is important to us. So please email us at enquiry@bestloftladders.co.uk with any thoughts or feedback. For all email enquiries please enter your email address opposite, leaving your name, message and contact details and then click 'submit'. We will then contact you as soon as possible.